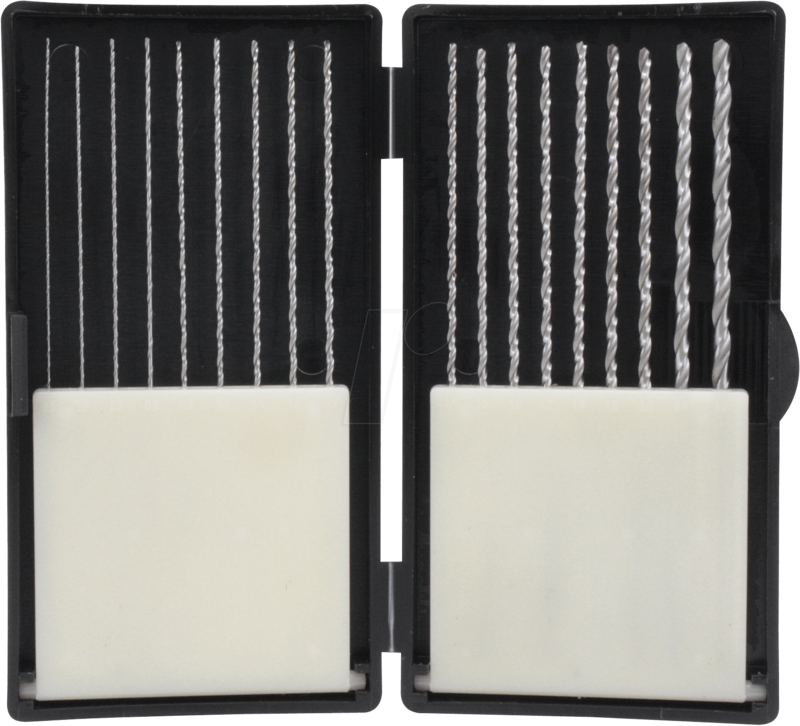 DONAU HSS 275HSS drill bit set, "extra-long", 18 pieces. In a practical storage box, right, cylindrical. Length 100 mm, sizes 0.5 - 3.0 mm. Ideal for drilling deep holes in models!